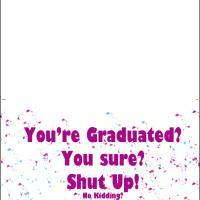 Free Printables » Free Printable Cards » Printable Graduation Cards » You're Graduated Shut Up! 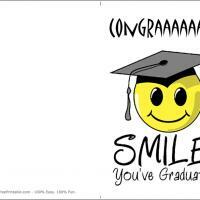 Be funny and send your congratulations to a newly graduated friend or relative. 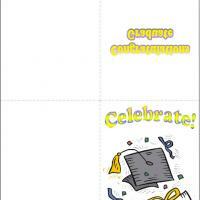 These printable Graduation cards feature a joking message over a speckled background. 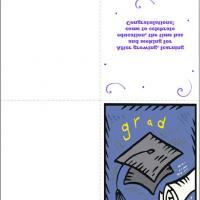 Just print these free printable cards and write more funny messages inside to let the graduate in your have some good laughs as he or she embarks a new journey in life. 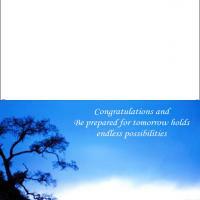 Give the graduate's graduation some joy and fun and make it a day to remember.